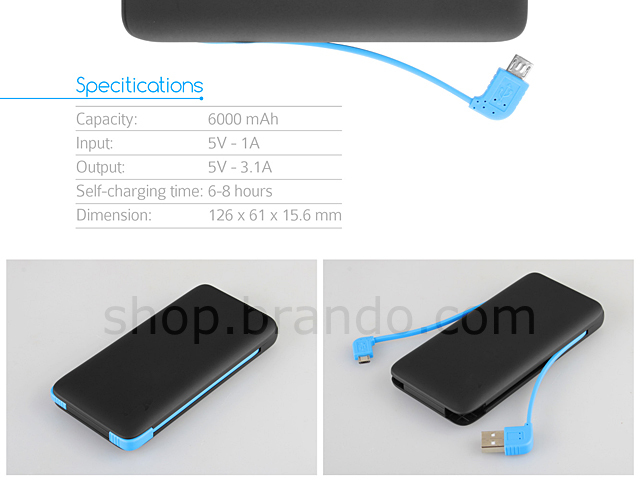 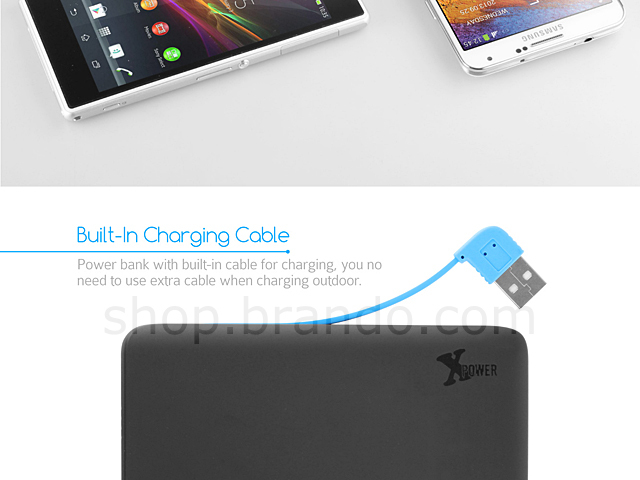 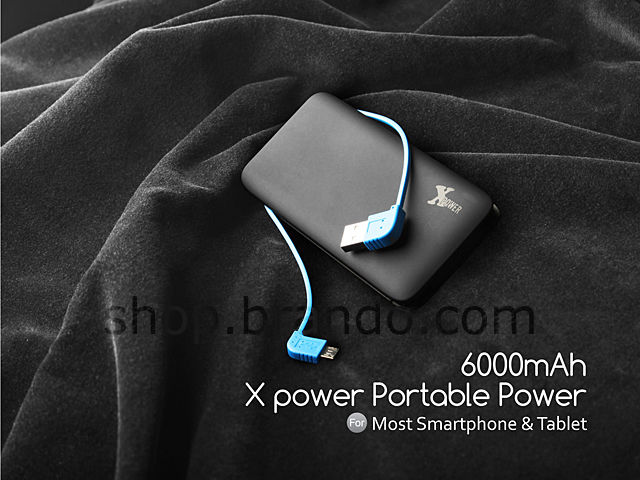 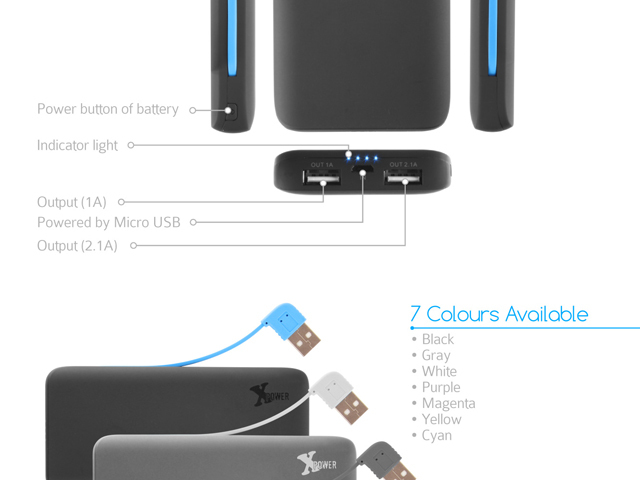 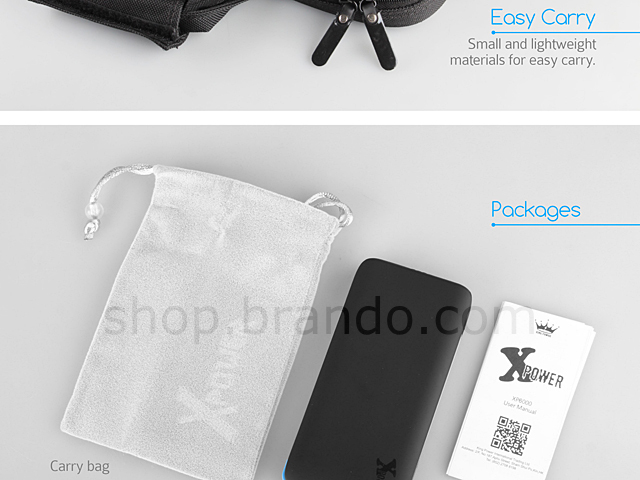 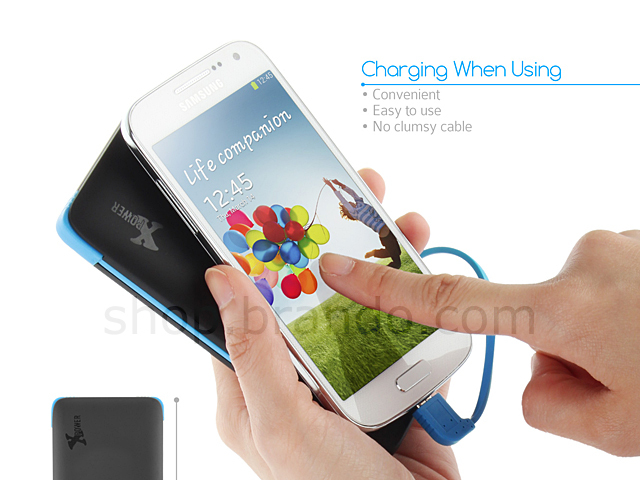 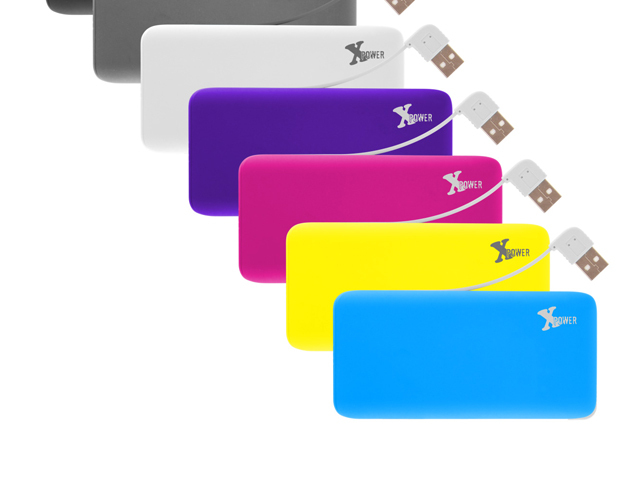 The X power Portable Power battery for most kinds of mobile devices offers 6000mAh capacity. 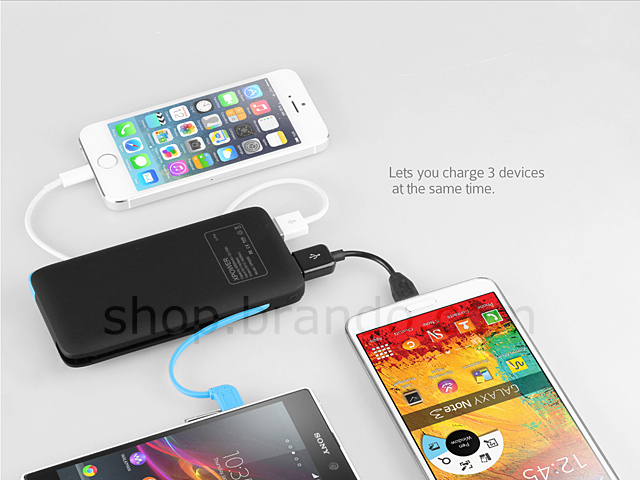 Duo USB charging port plus One Micro USB charging port allows you to charge Three devices simultaneously. 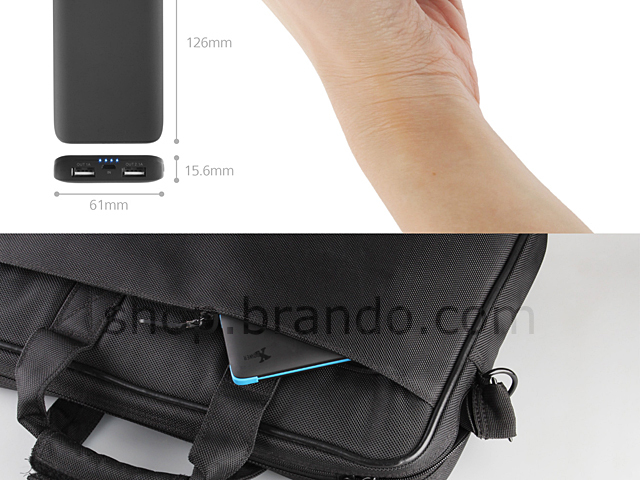 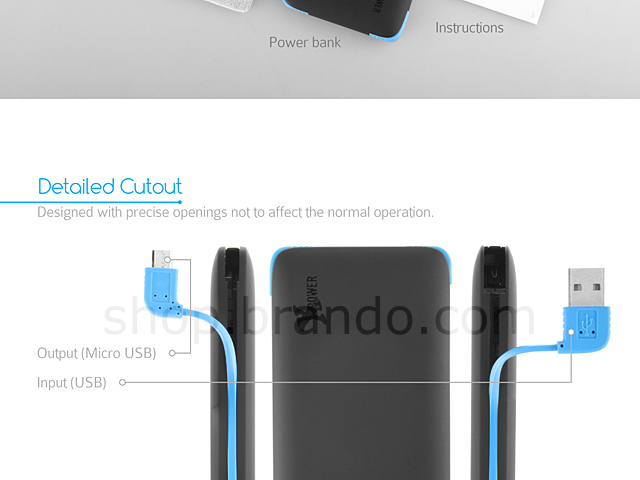 High tech outlook design with touch ON/OFF switch, ultra slim casing.